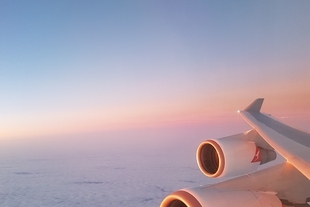 We live in a time of air travel and global exploration. We’re free to roam the planet and discover new countries and cultures. But how much do you know about the people who lived and explored these destinations in times past? Learning the etymology – the origin of words – of countries around the world offers us fascinating insight into the origins of some of our favorite travel destinations and the people who first lived there. 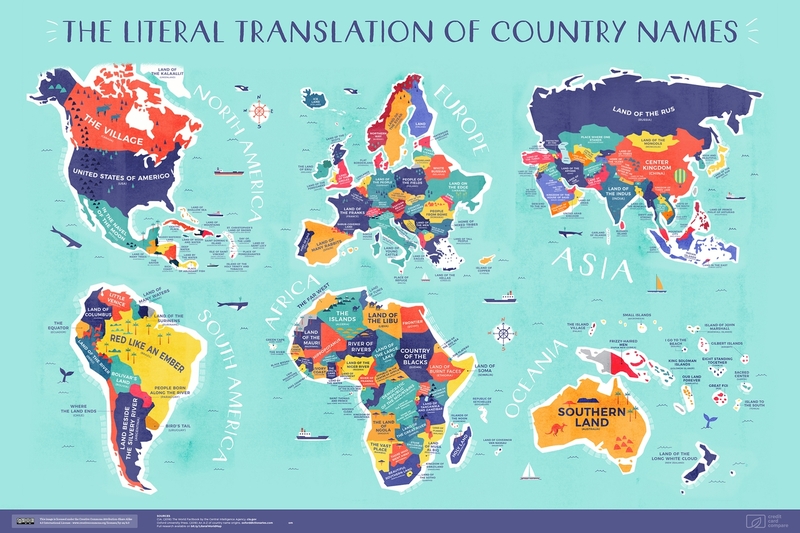 The map of the world featuring the literal translation of each country. Europe has a long history of exploration, and many of the country names reflect the lands and those who explored them. France takes its name from a coalition of Germanic tribes, the Franks. The name Frank comes from the Old German word franka, meaning ‘fierce’, making France the Land of the Fierce. Some even map the trails that people used to use to discover their world. Norway simply means ‘The Way North’, or ‘The Northern Way’, making reference to an old Viking route. 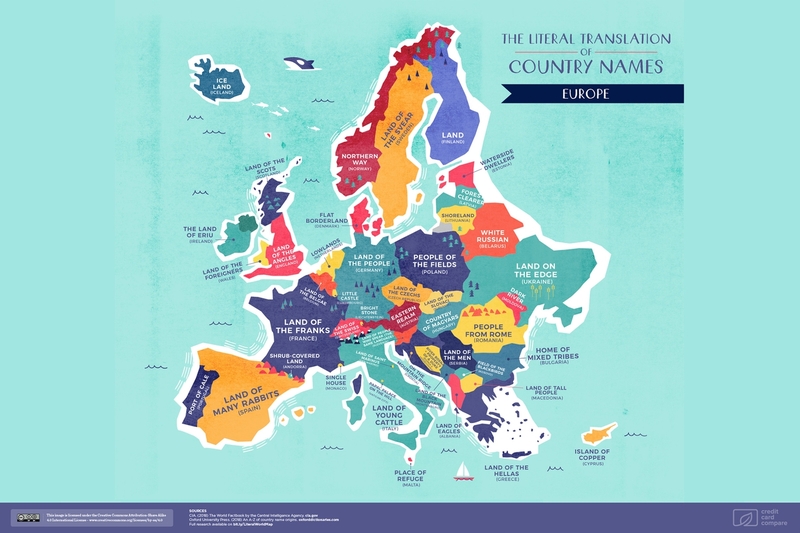 Literal European country names featuring such classics as "Land of Many Rabbits" (Spain) and "Forest Clearer" (Latvia). Africa is known as the cradle of civilisation – the place where all human life stems from. 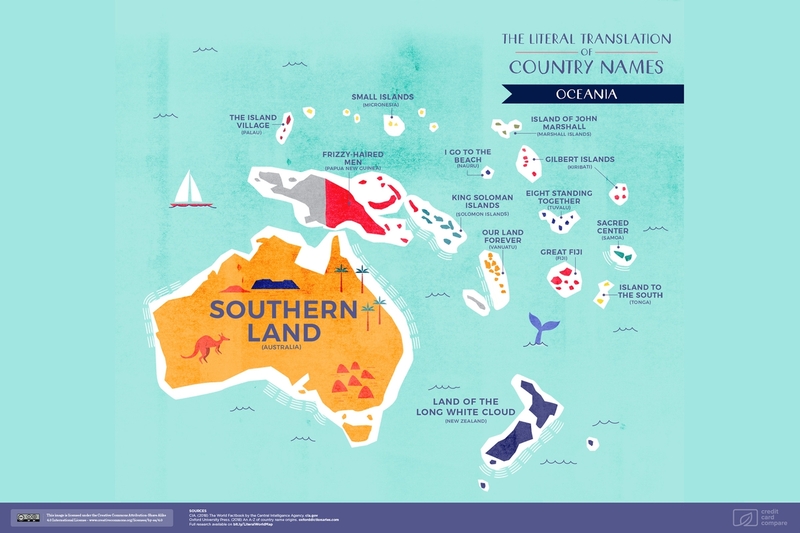 Its country names reveal a history of indigenous cultures and colonisation. For example, Malawi means ‘Land of Flames,’ which is thought to reflect the local habit of burning off dead grass to prepare the land for cultivation. The continent has had its fair share of explorers land on its shores. Portuguese explorer Fernando Poo travelled along the river Wouri in 1472, finding an abundance of shrimp along the way. He discovered and named Rio dos Camarões ‘River of Prawns,’ but it’s now known as Cameroon. 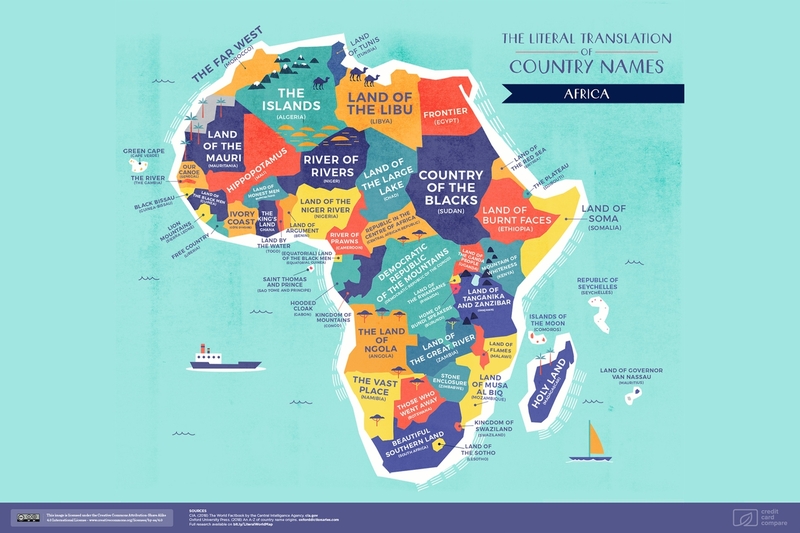 Literally translated African country names including "Land of Honest Men" (Burkino Faso), which is ironically ranked 74th least corrupt out of 175 countries in 2018. Asia takes up a third of the world’s total land area and is the most populated continent on the planet. Its rich diversity of culture and history is reflected in its country names. The Koryŏ dynasty ruled their kingdom from 935 to 1392 CE, overseeing a country that was forming its own distinct cultural traditions. That country is now known as Korea, which can be translated as ‘high and beautiful’. We can also learn about the geography of the region. Iraq’s name refers to its location astride the Euphrates and Tigris Rivers. It comes from the Arabic al-‘irāq, which translates to ‘beside the water’. "The Land of the Thunder Dragon", i.e. Bhutan, is one of the coolest literal country names in Asia. Azerbaijan should stick with "Protected by Fire"! 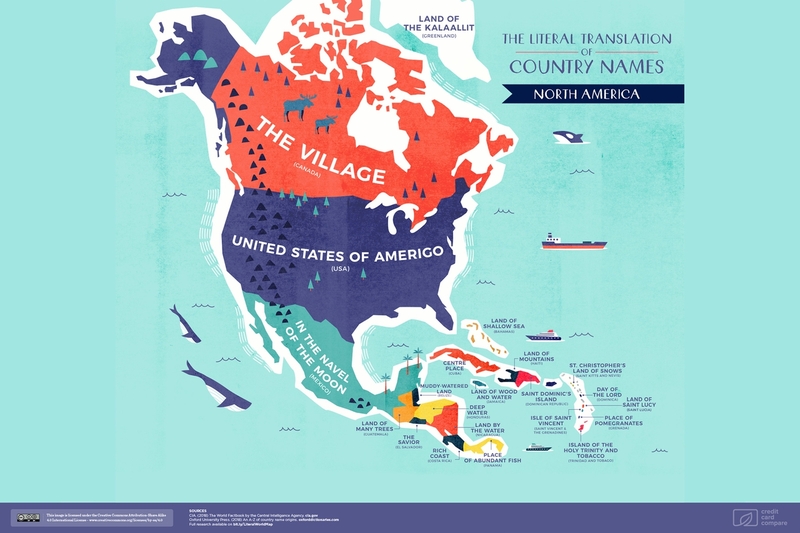 North American country names tell a story of European colonisation. The name ‘America’ itself may come from Italian explorer Amerigo Vespucci, who was the first person to realize that continent was a separate landmass and not on the east coast of Asia. This was the ‘New World,’ and one destined for a tragic period of war and conflict over land. Mexico, colonised by Spain, is the simplified Spanish translation of a Nahuatl name for the Aztec capital, said to mean ‘In the Navel of the Moon’. Spanish explorers reached much of Central America and the Caribbean, too, where they found gems like the ‘Land by the Water’ and the ‘Place of Pomegranates’ – known today as Nicaragua and Grenada. Much of North America has been influenced by European colonialists, e.g. El Salvador and Costa Rica being derived from "The Savior" and "Rich Coast" respectively. South America has some of the most diverse ecosystems on the planet. It’s also home to the world’s largest river: the Amazon. It shouldn’t come as a surprise, then, that many of the country names reflect. The abundance of water found there. Guyana is derived from an indigenous Amerindian language and means ‘Land of Many Waters,’ while neighbouring Venezuela is named after the city of canals, ‘Little Venice’. Three countries in South America have the equator passing through them, and this is, in fact, where Ecuador gets its name. The Spanish word for equator is, you guessed it, Ecuador. The north/south divider also passes through ‘Red Dyewood’ and the place ‘Where the Land Ends.’ Any guesses? 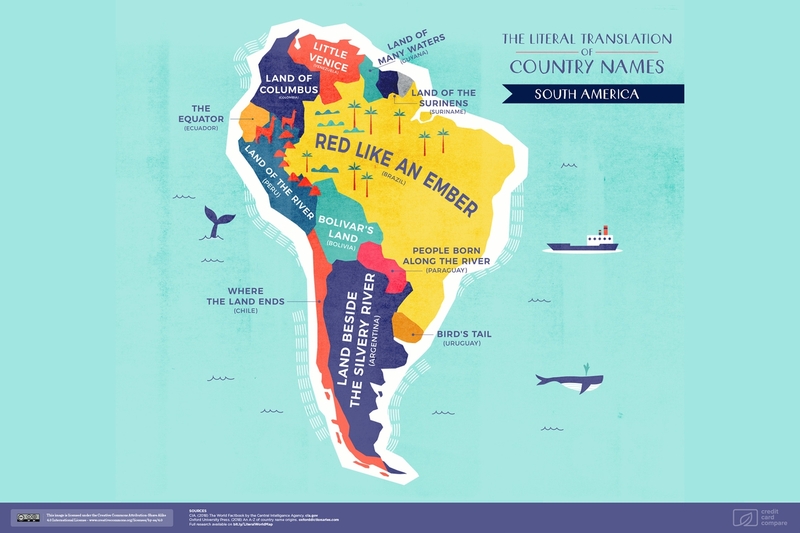 South American country names are highly descriptive, for example, "Land Beside the Silvery River" (Argentina) and "Land of Columbus" (Colombia). Oceania may be the smallest continent, but its diverse landscapes – from tropical rainforest to volcanoes to grasslands – have fascinated people for centuries. It was the Greeks who came up with the name Terra Australis Incognita, meaning ‘Unknown Southern Land,’ when they were dreaming of unknown lands in the southern hemisphere. Some believe that these lands down under gave birth to the entire universe. Samoa translates to ‘Sacred Centre,’ and legend has it that this is where Samoan God Tagaloalagi of the Heavens created the world. Here we have our very own Australia, a.k.a. "Southern Land". Nauru, which literally translates as "I Go to The Beach", sounds like a fantastic place to live! 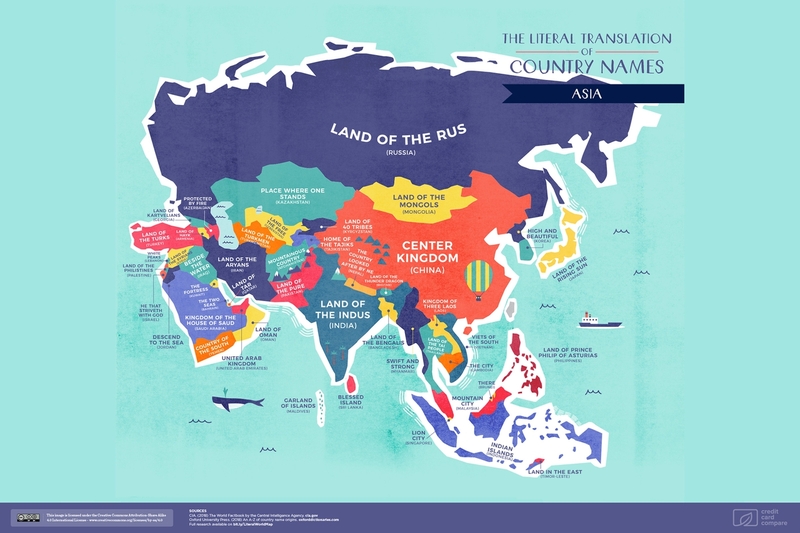 As you plan your next trip, perhaps take some time to learn the meaning behind the names of the countries you’ll be visiting. In addition to offering some context, you’ll have something unique to bring up over drinks with the locals! Language is certainly a fascinating thing. 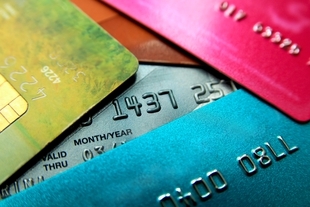 Find out more about the origin of these names here. 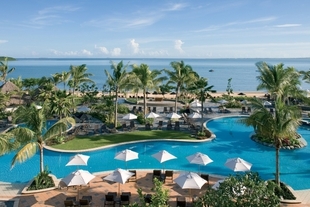 Marriott’s new Elite Status Program: Will you be better off?